One Month into 2018 and plans for the New Year will commence with all seriousness in the coming weeks. So, as you plot out your travel adventures and holidays, don’t forget to earmark some of the Western Cape’s most stunning wine farms. Having explored close to thirty in 2017 (and more besides in previous years), I like to think I am fortunately positioned to be able to recommend a handful of Cape Wineland gems well-worth visiting. When you add to that, high quality owners and staff, top-class wines and rare, intimate wine tasting experiences (standard or Riedel – the choice is yours), you’re all set for a memorable wine-filled day! In everything they do, Esona incorporates a dedicated, hands-on approach, thereby ensuring that the finest quality, intimacy and care permeate throughout their beautiful, single vineyard wines, as much as the delicious platter-style foods sold at Caryl’s Deli. 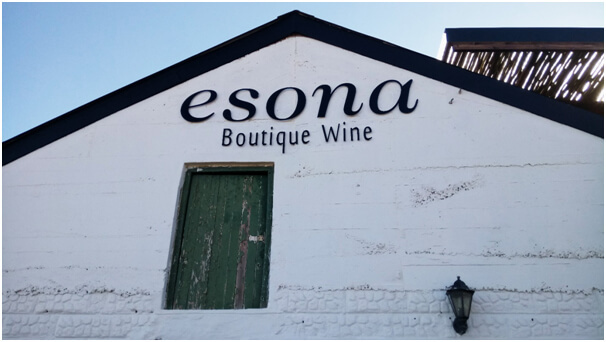 I’ve been to some of the best wine estates across the board in South Africa and yet, in spite of this, the memory of Esona seems to remain with me wherever I go – it’s one special wine farm and, if you visit only two or three wine farms in 2018, then let Esona be one of them. For more information on Esona, contact: (076) 343 5833. 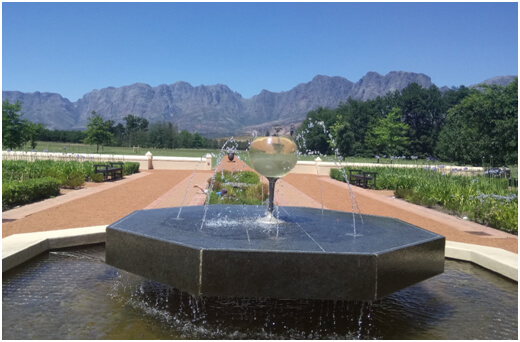 This historic wine farm is one I’ve been dying to visit for a long time, as the prospect of a Helderberg mountain-encircled farm, lush, wonderful garden spaces, and rich history have always been sorely tempting. So when we finally had the chance to visit at the end of 2017, I was beyond thrilled! And, I’m pleased to report, Vergelegen lived up to my every expectation. It’s one of the finest, most beautiful estates I’ve visited to date. Add to that, enchanting picnics under the farm’s century-old Camphor trees, two top-class Cape restaurants in the relaxed Stables and the fine dining Camphors(prior booking is essential) and a charming old manor house (which lets you step back in time) – and this gorgeous Somerset West wine estate becomes utterly irresistible. It’s a lovely, vastly spacious wine farm (which is completely family-friendly) that offers a true glimpse into the cape’s yesteryear wine farms that are blessed with modern-day touches. There is a small entry fee (R10 for adults, R5 for pensioners/scholars) at the gate but it’s worth every cent– especially with so much for eager visitors to see and enjoy! For more information on Vergelegen, contact (021) 847 2100. Babylonstoren has it all: two gorgeous, garden-based restaurants (Babel and Greenhouse), stunning labyrinthine veggie and garden spaces, a farm shop and bakery, luxurious spa, quality farm hotel and beautiful cottages – and of course, the ideal setting near fairest Franschhoek: the thriving heart of the Cape Winelands. No matter whom you speak to, the place that everyone wants to visit (or revisit…) isBabylonstoren. 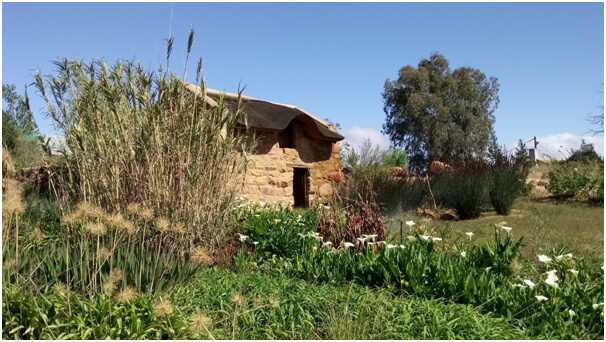 And when you’ve been there, you will understand why… Taking what has always been a magical place, media mogul, KoosBekker and his hugely creative, equally talented wife, Karen Roos, have transformedBabylonstoren into paradise in the Winelands. Babylonstoren is a wonderful place to eat at, explore or spend the night, no matter whether you’retravelling with friends or family, and it’s definitely one of the loveliest, most slickly run estates I have had the pleasure of visiting. 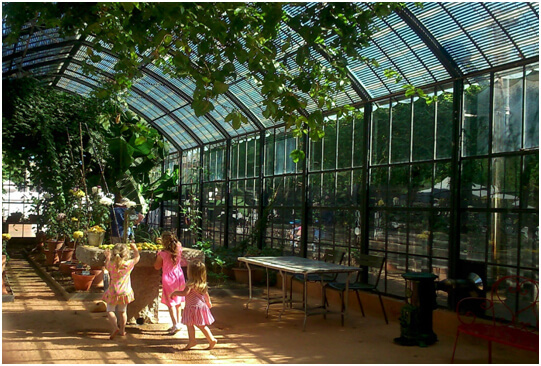 For more information on Babylonstoren, contact: (021) 863 3852. 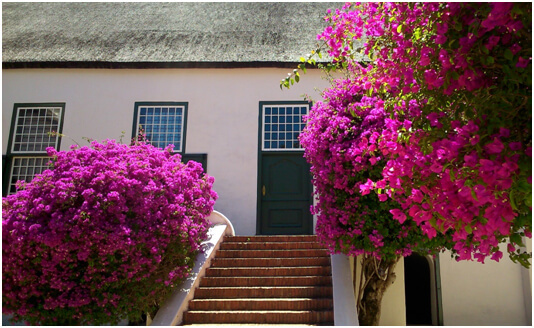 This family-friendly wine farm is blessed with impeccable views of False Bay, preserved Cape Dutch architecture of the finest quality, two delightful restaurants (Jonkershuis and Simon’s) and even some awesome art and museums (if you include the Old Manor House) too. It’s a picturesque estate that feels perfect without being pretentious and which provides visitors with a gorgeous day out in the Constantia Winelands, where some of the city’s best restaurants and semi-secret wine estates now exist. For more information on Groot Constantia, contact: (021) 794 5128. 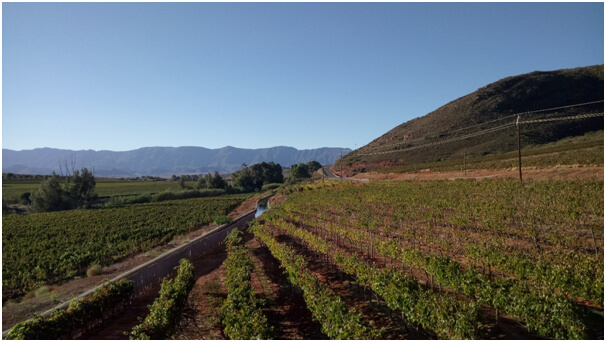 Travellers flock to the Cederberg to enjoy amazing hikes, the exotic, otherworldly landscape, life-changing wilderness camping and so much more – but one thing that they might not have done in the Cederberg (yet) is head there for a unique wine tasting. Surprised? Well, so were we! Imagine stumbling across an elegant cellar and beautiful wine farm on your way to one of the popular, permit-controlled hikes in the area! But there it lies: Cederberg Private Cellar, waiting to tantalise and tempt thirsty travelers. Specialising in high altitude wines (make that very high altitude! 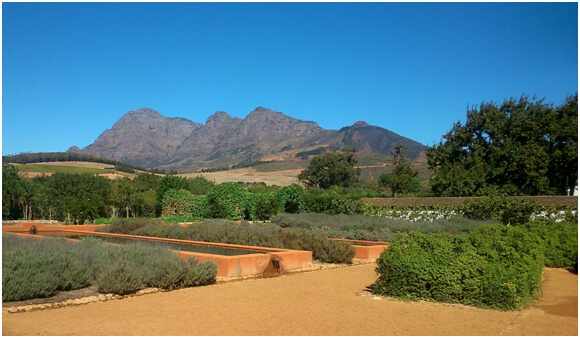 ), Cederberg Wines is a hidden wine farm gem if ever one existed! 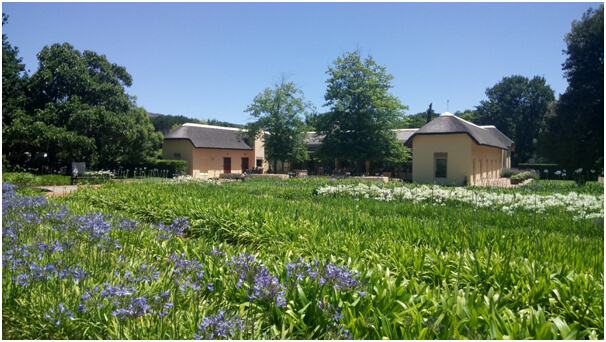 While the estate itself has the refreshing feel of a simple Cape farm, the modern, glass-faced cellar, and its nearby outdoor facilities and exquisite garden (complete with an adorable, rundown water mill) are anything but rustic or rural! This estate has the honour of being the highest wine farm above sea level in the Cape Winelands, and it produces some truly delicious wine (we made sure we headed home with a twin set of their Cederberg Rose; it’s divine), making for a wonderfully unexpected (wine) find. 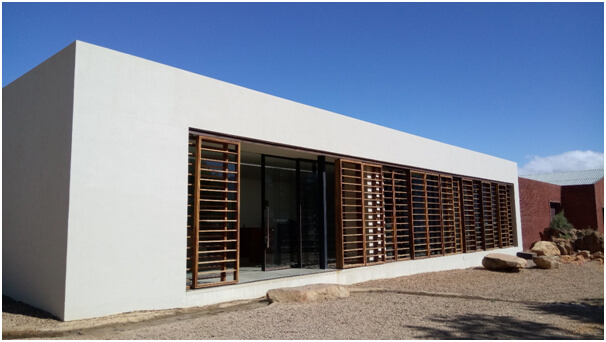 Cederberg Wines offer awesome “wines with altitude”, while the cellar itself is modern, clean and elegantly designed, ensuring a pleasurable wine tasting outing – with some gorgeous Cederberg views to visually drink in with your wine! For more information on the Cederberg Private Cellar, contact: (027) 482 2827. These are just some of the most wonderful, world-class Cape wine farms you can visit outside Cape Town during 2018 – and the best part of all? They’re all within a few hours’ drive or so of the awesome Mother City. Junior content writer by day, passionate travel blogger and freelance writer by night… I am a farm girl-turned-city dweller, who grew up in the Klein Karoo farm town, Montagu. Through my travel blog, Tamlyn Amber Wanderlust, and part-time freelance writing ventures, I cover my favourite travel experiences – be they visiting cosy farm stalls, navigating amazing road trips or visiting some of South Africa’s prettiest natural locations or best restaurants. I love exploring the great outdoors, and being able to share the wonders of SA through my writing and photos afterwards, is an absolute privilege for me!